Several books in the Bible don’t get the publicity they deserve. Titus is a good example. Overshadowed by the far more popular letters of 1 and 2 Timothy, this pastoral epistle unfortunately seems obscure and unimportant to some. 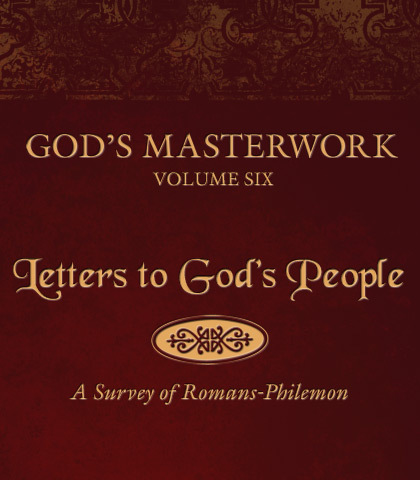 Equally essential and inspired by God, the letter to Titus brings a needed balance to the subject of guidance to pastors. First Timothy emphasizes doctrine. Second Timothy provides a charge—a strong emotional appeal to the pastor. But Titus brings a word of caution, a reminder that good works must accompany our proclamation of the truth and our defence of the Gospel. The two letters to Timothy encourage him to protect and to preach, while the letter to Titus instructs him to practice those things. While good works in no way lead to salvation, they are the irrefutable evidence of true salvation. Preachers need that reminder as much as anybody…sometimes more!